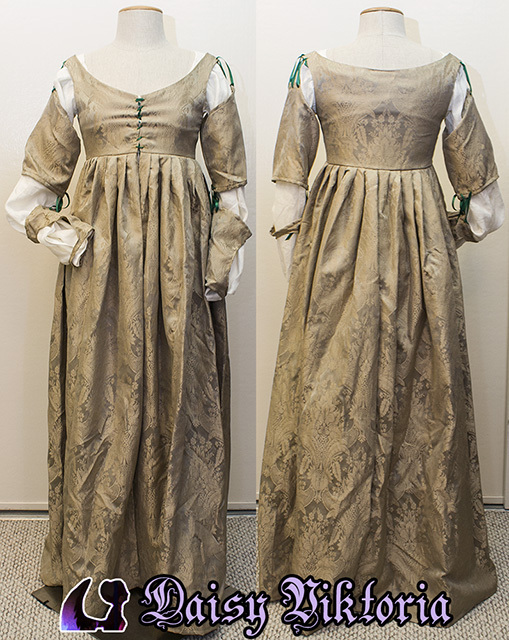 I made this Venetian Renaissance gown for a customer. 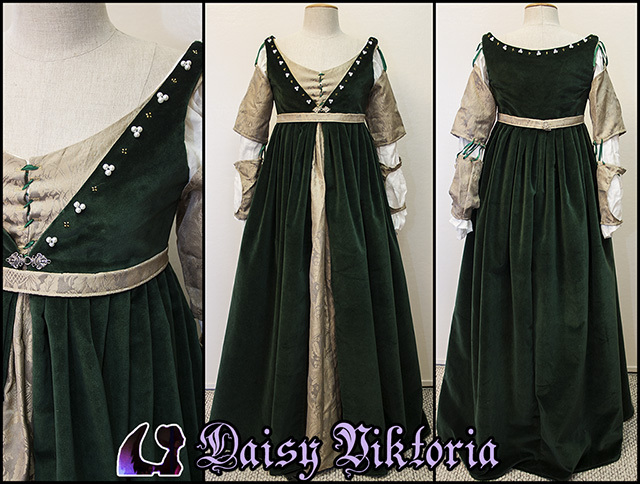 The overgown is made of green velvet with hand beading along the neckline. The under dress, which can also be worn separately, is made of a light brocade, or damask, fabric. The sleeves tie on, so this dress may also be worn with or without sleeves. The camicia, or chemise, is a basic style for this period, and though a corset is not required for this specific gown, the customer requested one which she can wear with many gowns. It is done in the later period Renaissance style.